Would like to thank all the members of the team. This truly was a collective effort as every member provided contributions that put us over the top. It was an honor to captain such a team, and happy to finally see my name and avatar on one of Chelle's creations. Good job by Chelle, and great job for the Boozers of April. Really great creation Chelle, it matched the Boozers run in April. IDK what do you think - maybe I should. Couldn't do any worse. and very cool that you're doing these for the tank! Great job once again Chelle! Very great looking trophy Chelle! who says she s just a pretty face!!! 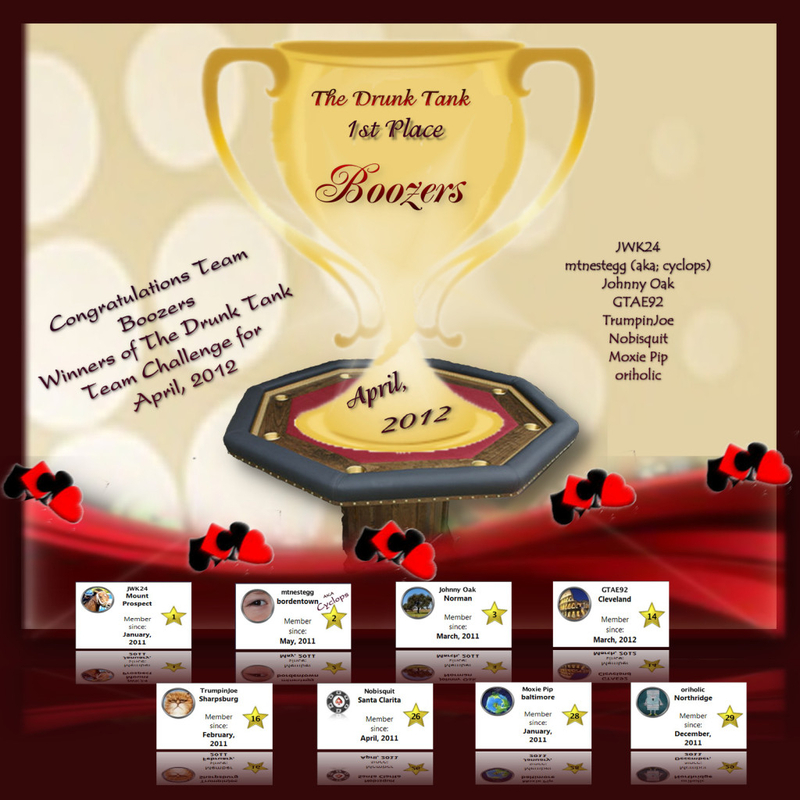 Getting on one of your trophies makes the Tank Champeenship each month all that much more worthy a prize. Thanks guys for all your kind words (blush).